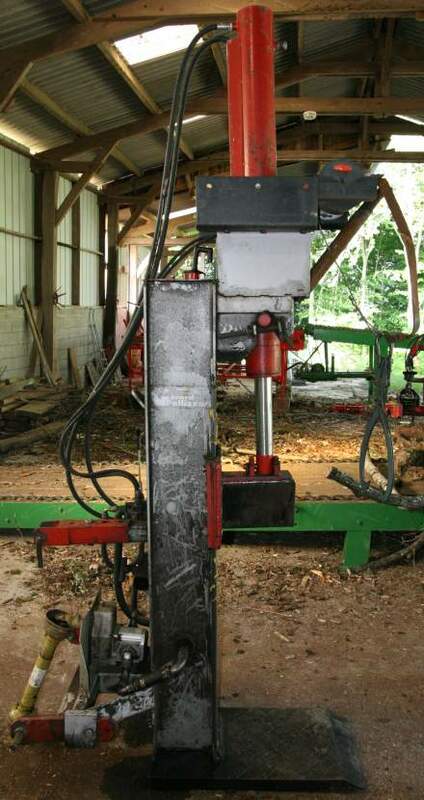 Our wood splitter works with the tractor power point. It is still used in some cases when trees trunks are too big to go through the wood cutting machine. The firewood production is much longer in this case.